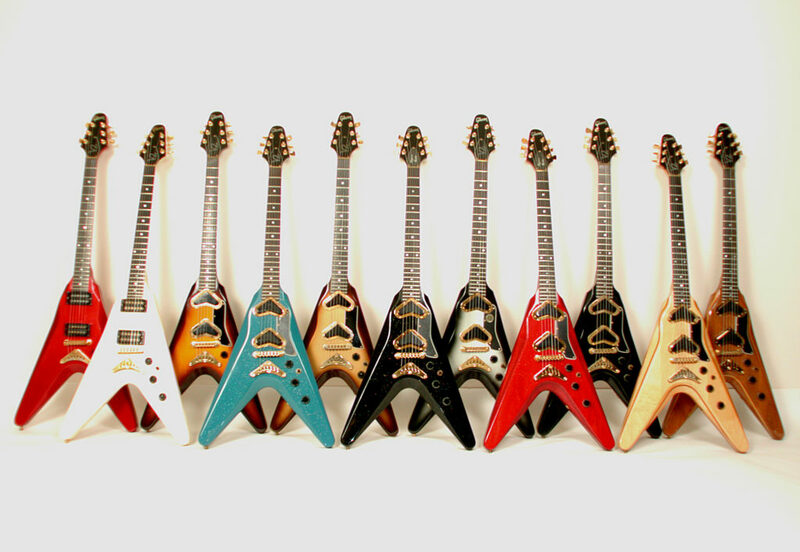 The Gibson Flying V is one of the most distinctive and recognizable electric guitars ever made. We’re celebrating its history with the below gallery featuring many rockers who have played one, including Eddie Van Halen, Keith Richards and Tom Petty. As Guitar Aficionado notes, its look was Gibson’s attempt to come up with a Modernist answer to the Fender Stratocaster. 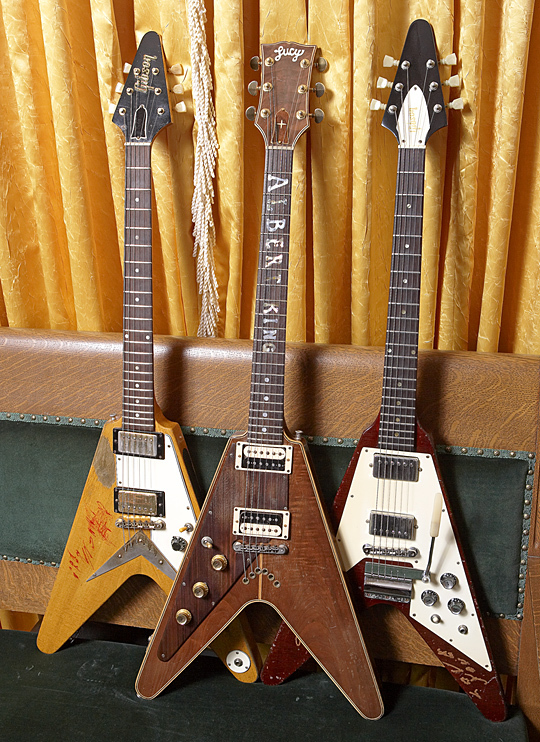 In 1956, Gibson president Ted McCarty commissioned some new designs, and the Flying V was the only one that survived the process intact. 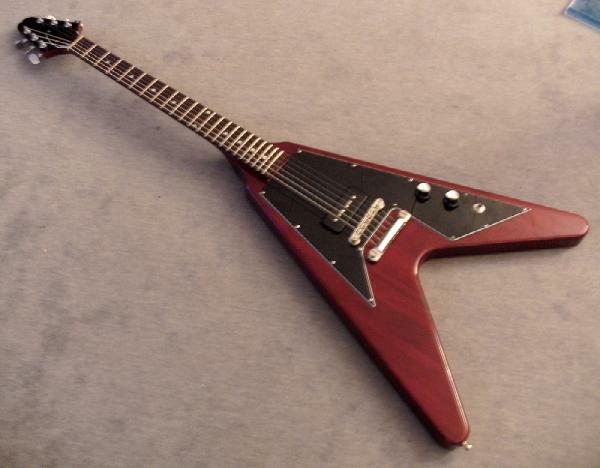 The ’59 Gibson Flying V made famous by Albert King. “Lucy,” the guitar built by Dan Erlwine in the early 1970s and used extensively by King. 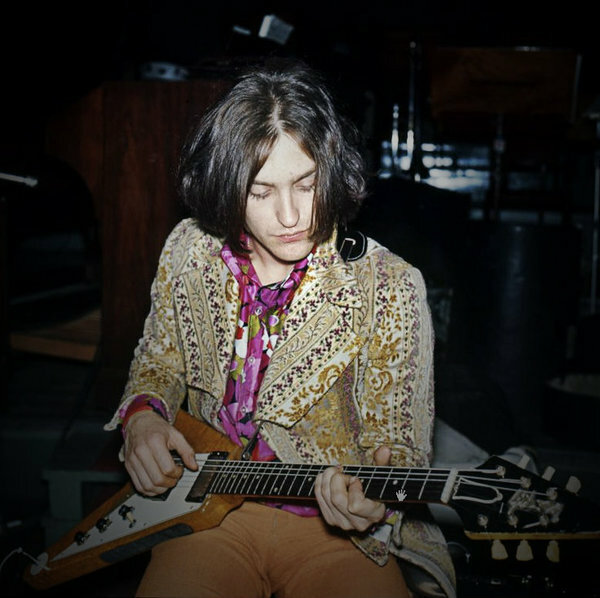 The mid-’60s Gibson Flying V King played extensively after his ’59 V was lost. Actor Steven Seagal has attained admiration and notoriety among blues devotees for his custodianship of these classic American axes, previously owned by such legends as the Kings, Bo Diddley, Stevie Ray Vaughan, Buddy Guy, Howlin’ Wolf, Muddy Waters, and Jimi Hendrix. These are guitar cases containing iconic instruments of the American blues Kings – Freddie, B.B., and Albert. three Flying Vs once played extensively by the great blues master Albert King. Such is the eclectic and inclusive mosaic of Seagal’s multicultural world. A patent was issued on January. 7th, 1958, and it quickly became a favorite with blues stars Albert King and Lonnie Mack. King, in particular, liked it because, as a lefty, he could turn it upside down and it would look the same. But it originally didn’t sell very well and was quickly discontinued. 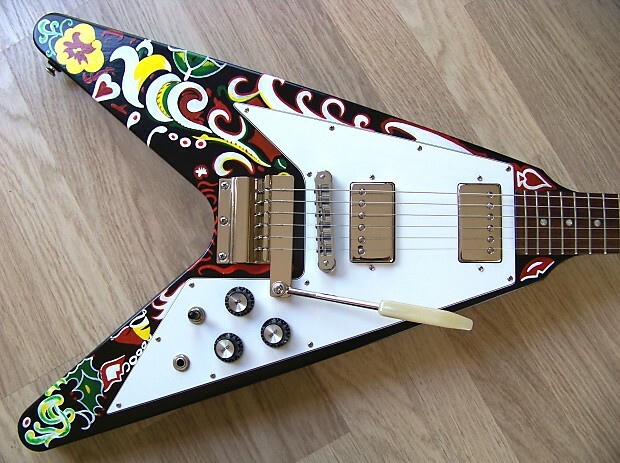 1958 was the year Gibson launched the Flying V guitar – the first of the company’s ‘Modernistic’ series, designed to combat the growing challenge from California’s upstart Fender brand. Since then, while never coming within a country mile of the success of the Les Paul, Gibson’s Flying V has become a staple of Rock guitar. ZZ Top’s Billy Gibbons played one on Fandango and Germany’s Michael Schenker joined the exclusive brethren, too, soon to be followed by Judas Priest’s K.K. Downing. Still, even with Richards playing one at the Rolling Stones‘ famous Hyde Park show in 1969 and Jimi Hendrix — who was influenced by King — having one custom-made, it failed to sell in big numbers and production ceased in 1970. They tried again in the mid-’70s and, this time, it caught hold with hard rock acts overseas, thanks to Michael Schenker of the rock band The Scorpions and UFO Schenker’s relationship with Vs began when he ran into problems with his own guitar and needed to borrow a replacement in a hurry. Enter big brother, Rudolph, who loaned him a ’71 Medallion V. It was love at first bite, as Michael plugged it into his Marshall stacks. Marc Bolan of T. Rex and Bad Company’s Mick Ralphs, and it hasn’t been out of production since. It later became synonymous with ’80s metal thanks to Metallica’s James Hetfield and Kirk Hammett, a huge Schenker fan. Wow, awesome weblog layout! How long have you ever been running a blog for? you make running a blog look easy. The total look of your web site is great, as well as the content material!